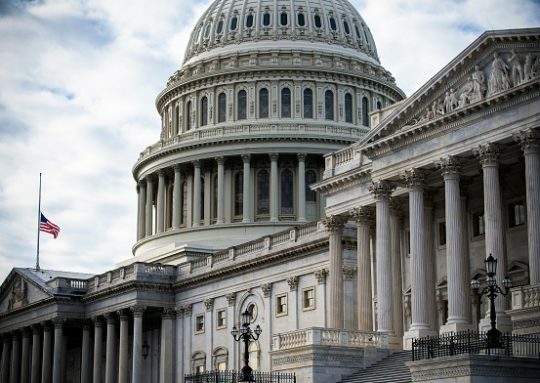 The U.S. Government Accountability Office’s (GAO) year-end review of the fiscal health of states and local governments paints a grim picture for 2019. The GAO says states "will have [an] increasingly tough time covering their bills over the next 50 years. Fiscal sustainability presents a national challenge shared by all levels of government." Its calculation is based on the operating balance – a measure of the sector's ability to cover its current expenditures out of its current receipts. Updated every year since 2007, the report, "State and Local Governments' Fiscal Outlook: 2018 Update, GAO-19-208SP," captures revenue and spending patterns and how they are impacted by government policies. Since 2007, GAO has published simulations of long-term fiscal trends in the state and local government sector, which have consistently revealed long-term fiscal pressures and near-term operating deficits. In 2018, the report surveyed revenue and spending patterns and suggests that revenues "may be insufficient to sustain the amount of government service currently provided." Although GAO’s long-term outlook is based on historical spending and revenue data as well as the Congressional Budget Office’s (CBO) Gross Domestic Product (GDP) projections, the factors that influence the long-term can also have near-term effects, Michelle Sager, director of Strategic Issues at GAO, told Watchdog.org. In 2019, the CBO expects real GDP to continue to grow at a rate of 2.4 percent, less than 2018’s rate of 3.1 percent. Sager points to key factors to watch in 2019, including overall economic trends nationwide, costs of health care growth, effects of federal tax changes, and a U.S. Supreme Court ruling on state sales taxes. GAO also identified federal policy changes that could affect the state and local government sector's fiscal outlook, specifically the effects of the recently enacted Tax Cuts and Jobs Act and how states will adjust their tax policies as a result. "In the midst of these external factors, most states do have requirements related to balancing their budgets," Sager said. "Nonetheless, deficits can arise because the planned annual revenues are not generated at the expected rate, demand for services exceeds planned expenditures, or both, resulting in a near-term operating deficit." The biggest expenses local governments and states face stem primarily from Medicaid costs, GAO notes, in addition to health benefit expenses for state and local government employees and retirees. Medicaid expenditures are expected to rise by at least 1 percent more on average than the GDP every year. Rates of return on pension assets could also shift future fiscal outcomes for the sector, GAO states. These expenditures are projected to grow as a share of GDP while revenues from personal income taxes and federal grants to states and localities will also increase during the same time period, GAO states. In addition to their own 2019 spending and revenue decisions, state and local governments’ fiscal outlook will fluctuate depending on how state income taxes are adjusted to comply with federal income tax rules. The U.S. Supreme Court’s June 2018 decision in South Dakota v. Wayfair, Inc. could affect states’ abilities to collect revenue. The court ruled that states could require out-of-state sellers to collect and remit sales taxes on purchases even if the seller does not have a substantial physical presence in the taxing state. States’ tax revenue will be impacted by the extent to which their laws and enforcement efforts are revised in response to the ruling. The report relied on data from the Bureau of Economic Analysis's National Income and Product Accounts and recorded results in the aggregate.